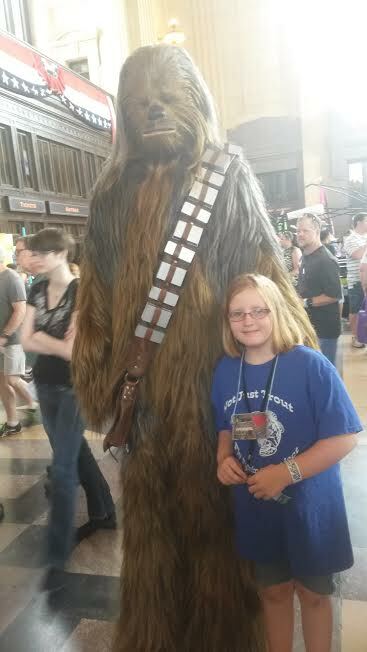 My family and I spent the weekend at the Maker Faire which is held at Union Station in Kansas City. We had attended previous years but this year was different because I wanted to share what I have learned about fly fishing. While out fishing I have run into many people who associate fly fishing as a method of fishing for only trout. So, we were there sharing the sport of fly fishing and fly tying for all species of fish. 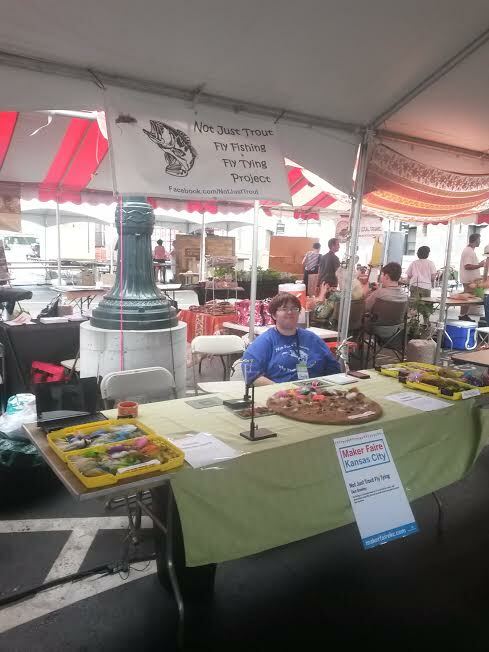 Our booth was set up outside and the weather couldn’t have been better on Saturday. Sunday was fairly windy at times but we managed to keep things attached to the table. I set out an assortment of Bass, Carp, Musky, Saltwater, and general all species flies for people to view and discuss how to use them. 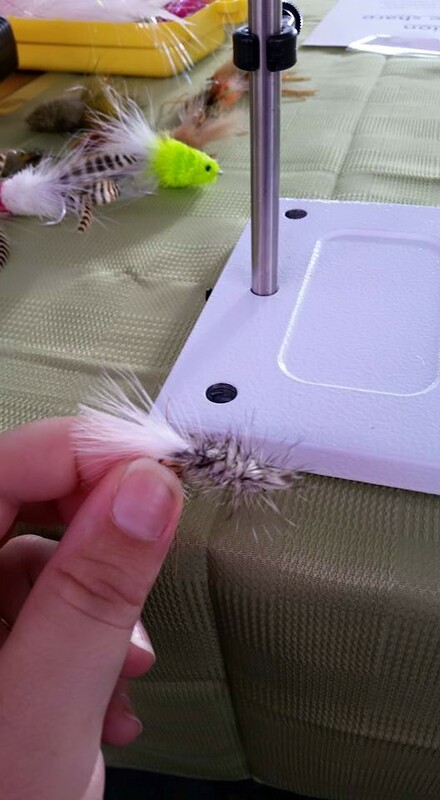 The Wooly Bugger fly is a great fly that almost any fish will eat and is easy to tie. It uses little material and is fun for kids also. We decided to teach anyone that wanted, how to tie one. We had many people tie their own fly for the first time, children and adult. At one point my daughter Callie was giving tying lessons to other kids. I also informed many people on the flies and how to fish them to catch the local species. Carp was a common topic that came up with some of the more experienced people I spoke with. Chasing carp is getting popular in the KC region. By the end of the first day there were over 50 people who had tied flies with us and many, many more who stopped just to talk and admire the flies. Sunday was a little slower day, so I left my wife to attend to the booth while Callie and I went to check out some of the other Makers. Inside and outside Union Station there was all kinds of things going on. 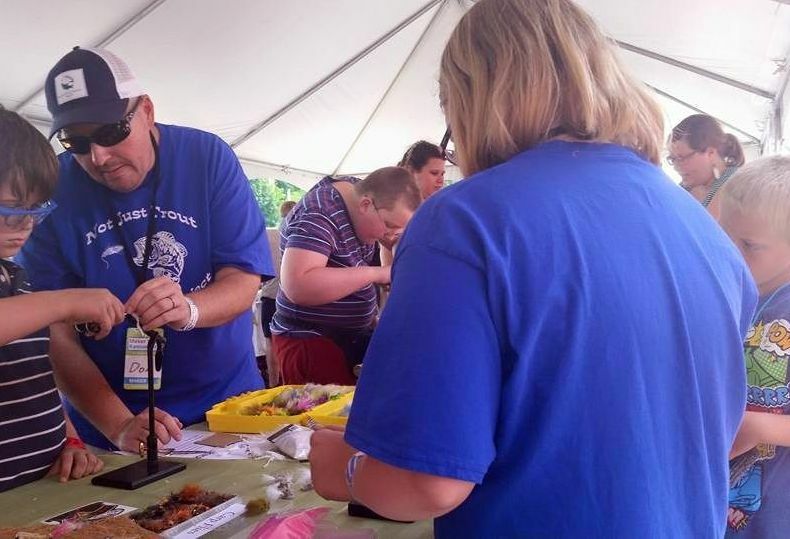 Everything from robotics to dog treats were being made and sold. 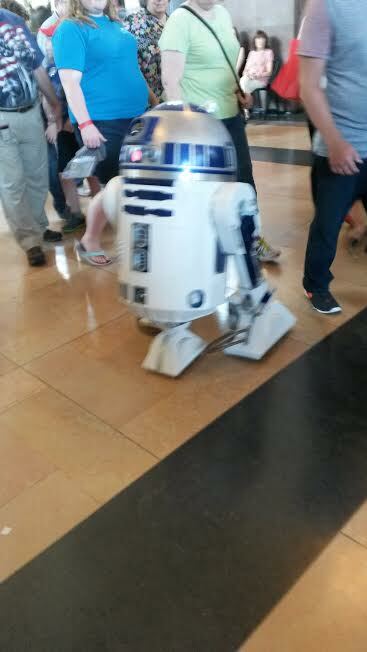 Some of the highlights were seeing a Chewbacca and the multiple R2 units running around (we’re big Star Wars fans). 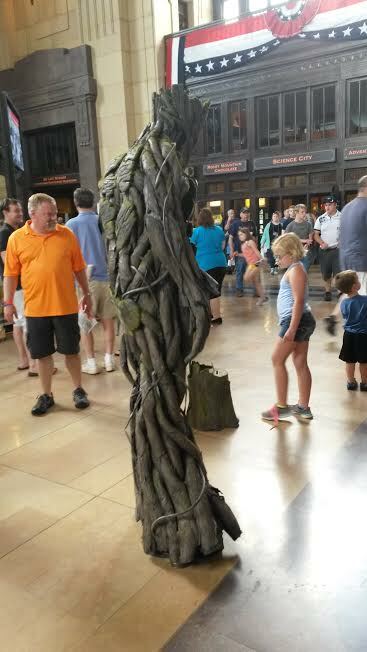 There was also an amazingly well done Groot costume being worn around! 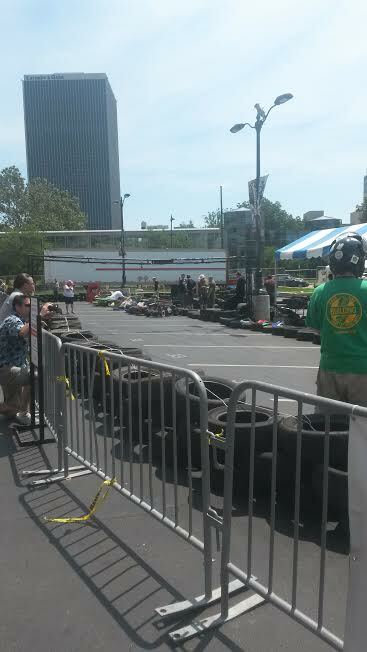 And of course the Power Wheels racing is always something not to miss. There are so many amazingly talented artists and creators at this event it would take me days to mention them all! Check out some of the great people who were located in the booths next to us. They are all local people making great products and were good neighbors (putting up with our loose feathers blowing at them) during the weekend! 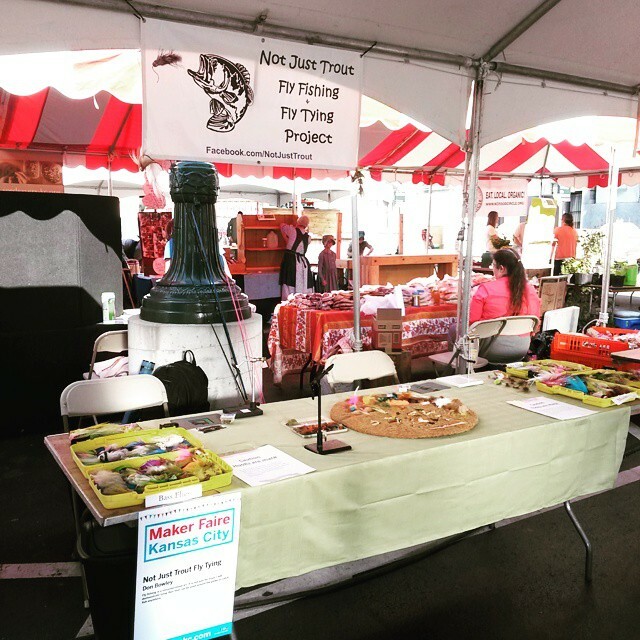 Previous Previous post: KC Maker Faire starts tomorrow!